Dr Nigel Greer first worked as a hospital dental surgeon. He then gained five years of dental experience overseas. 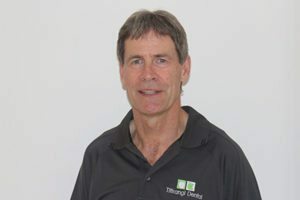 On his return he took over the Titirangi Dental Centre from a retiring dentist and with his guidance the practice has grown into a three dentist practice. Expansion has included dental hygienists to help patients with dental care. Dr Greer is committed to continuing education as it allows him to provide the very best in quality care for his patients. For all his work he uses state of the art techniques with the latest equipment. He has won accolades including “Best Dentist” voted by listeners of 92FM. One of Dr Greer’s main interests is Cosmetic Dentistry. He finds it very rewarding to transform unsightly, unhappy smiles into good-looking smiles. In many cases where there is an enormous change to appearance patients gain improved confidence and self esteem.